Bon Appetite has a new recipe that is inspired by the Aveeno Positively Radiant products. 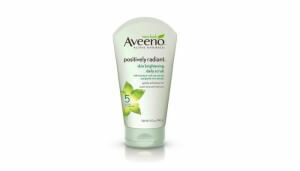 To celebrate the inspiration they have teamed up with Aveeno to give out free Aveeno Positively Radiant samples. This is a part of their naturals line of products and uses soy as its active ingredient. Aveeno makes some great lotion products and I can’t wait to try out these products. It is also nice that it is part of the naturals line of Aveeno so you know they are using mostly natural products. Hurry in though they only have 5000 of these samples to give out to everyone.